Bryan Cranston. You might know him as Hal, President Lyndon B Johnson, Dalton or most likely as Walter. 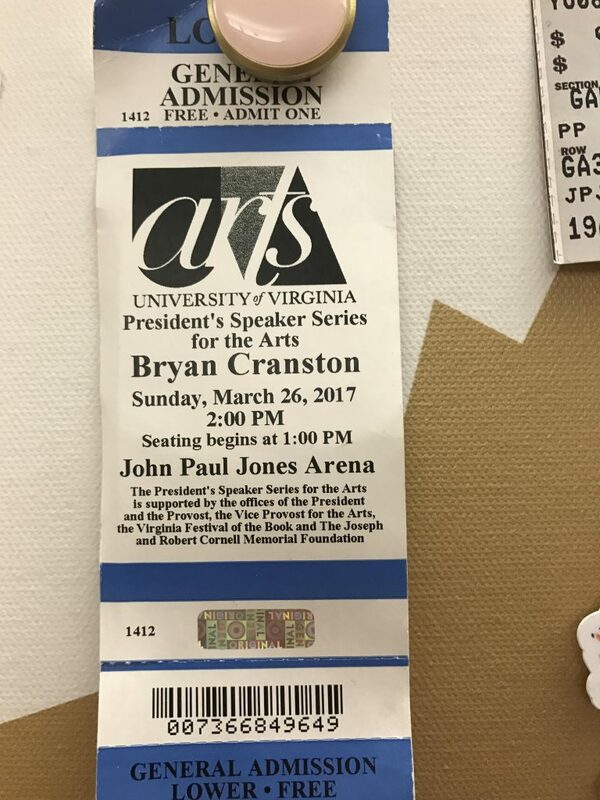 The acclaimed actor, winning 49 various awards along with 84 nominations, came to UVA this past Sunday, March 26, as this year’s President’s Speaker for the Arts. His speech, not only describing his process of becoming his famous characters—from Breaking Bad, Malcolm in the Middle, All the Way and Trumbo— was meant to inspire students of all types to achieve their goals. For those pursuing a career in acting, he expressed the best way to make something worthwhile in the industry is to create a memory. “We want to be taken away. Tell me a story. Make me feel.” These are the words Cranston used to illustrate the goal of any production. Cranston also met with 100 drama students and aspiring actors on Saturday for a special panel to speak one-on-one. As for the rest of us, he emphasized hard work would be the key to anything we want in life. Describing his own hardships, he let the crowd know nothing is too difficult as long as the proper amount of heart and passion is put into it. To sum up the experience in one word, I would have to say it was inspiring. The kind of speech that would make you want to do all your homework for the next week or start studying for your finals now.